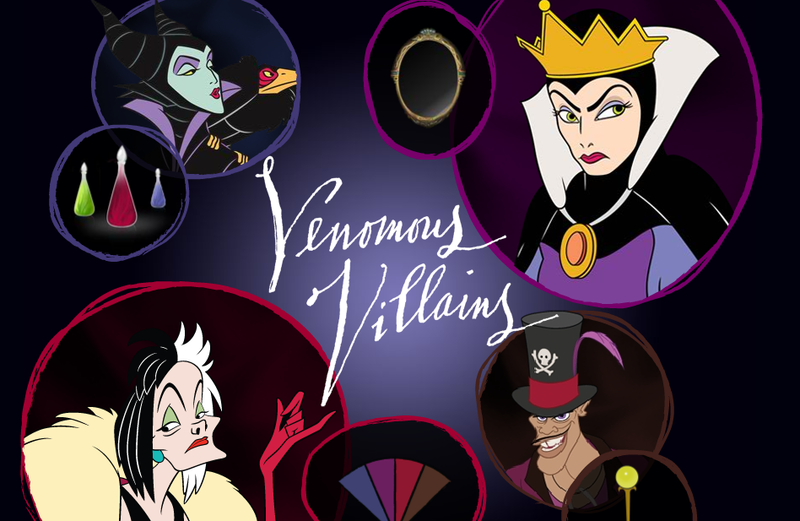 Click and Make-Up Beauty Blog: MAC Venomous Villains Collection Online Now! The collection was finally released online today at MAC Cosmetics, and the Evil Queen Beauty Powder in Oh So Fair and Maleficent's Nail Laquer in Bad Fairy - the two bits I really had my eye on - are already sold out! I'm watching my emails and blogs like a hawk for word of when it's hitting stores! Oh thank you please! I was asking in MAC on Saturday and the MUA didn't even know! I work near the Carnaby St store so I'll be taking a long lunch! When I tried to order Bad Fairy on the day it opened online I couldn't order..it said can't be ordered online and I assumed it was because they didn't want to ship nail polish since it's so hot here, IDK! So strange, I hope my store has it. I hope you get a few items. Everything sold out so quickly here. Yay! Can't wait to see what you pick up from this collection. did you get anything? I'm still waiting for mines to ship! @BottledBeauty - how strange?! Maybe they didn't want to ship it because it could be considered a toxic material?! I'm dying to get my hands on Bad Fairy, if I don't manage anything else I'll be happy with it alone! @Ansa - Thanks! I can't believe how fast it's selling out! @Kristie - If I have any luck at all there will be lots of photos and swatches! @wuguimei - Not yet, but I'm going to the Carnaby St store at lunch on Thurs! @Stay Beautiful! - Stay tuned for Thurs!